On January 11, 2018, Winnipegosis RCMP, with the assistance of Dauphin RCMP, executed a search warrant at a residence in Duck Bay, Manitoba, approximately 75 kilometres north of Winnipegosis. During the search, officers seized a firearm related to an incident that took place on December 23, 2017. 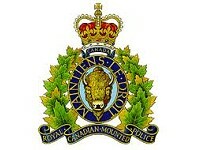 On that date, it was reported to RCMP that a pickup truck with four occupants chased another vehicle in Pine Creek First Nation. When the vehicle being chased arrived at a residence and stopped, a male exited the pickup truck and discharged a firearm into the ground. Nobody was injured. William Pelletier, 25, from Dauphin, has been remanded into custody and is charged with Discharge Firearm while Being Reckless, Pointing a Firearm, Possession of Weapon for Dangerous Purpose and Careless Use of a Firearm.